Many cannabis states allow medical or recreational home growing. Want to give it a try? You’ll be pleased to know that starting a closet grow is quite easy. Now that more states have legalized home growing for both medical and recreational cannabis, many cannabis noobs have the confidence and resources to try growing for themselves. You’ll be pleased to know that getting a simple grow setup started is quite easy. So, want to start a closet grow? Here’s everything you need. Some people prefer cabinets, others the closet. The one big benefit of opting for a closet is space. Cabinets are great, but you’ll be a little size constrained. It’s easier to get away with small growing spaces with indicas. However, sativas or sativa hybrids can quickly become quite tall. You can prune the plant back and/or tie it down to train for horizontal growth, but it can be a bit of a hassle. Growing in a closet typically gives you more height. If it’s a walk-in closet, even better. If you opt for a cabinet, make sure you’re buying one that’s at least four feet high. This Sterilite is a good option and is around $60 on Amazon. 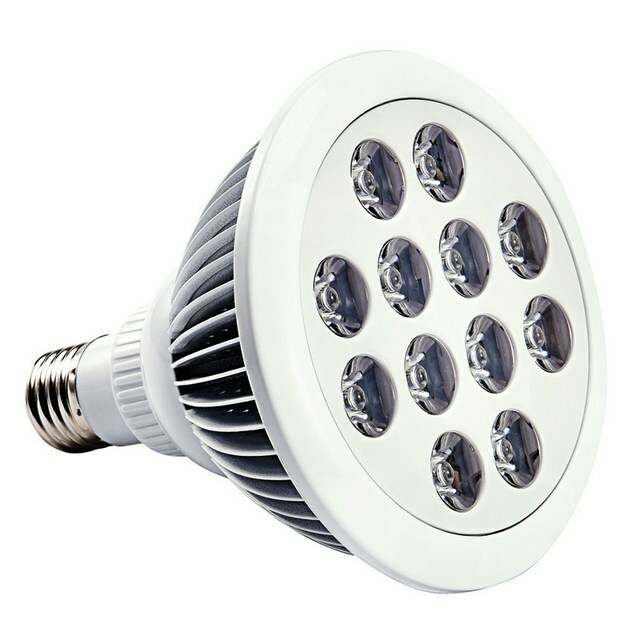 If you’re growing just a plant or two, this inexpensive light by TaoTronics will work. It’s full spectrum, meaning that you can use it for all phases of your closet grow cycle. It’s currently priced at $22 on Amazon, and it will fit in a standard light socket. This 24w model features more red light than its 12w predecessor. It was designed for plants that require stronger light, with increased red light to support flowering time. It doesn’t generate very much heat, so it will help keep your electricity bill down. If your closet is large, you’ll want to upgrade to a better lighting option. This bulb is best for folks keeping it very small scale, cabinet size. This is another great option for a couple of plants. Only slightly more expensive, this Hydrofarm fluorescent is currently priced at a little over $30 on Amazon. This is also a full spectrum light, meaning that it will work well for both vegetative and flowering stages. The one downside to this light is that it will not fit in a regular light socket. It’s quite large, so you’ll have to purchase an adaptor. You can purchase the correct Hydrofarm cord set for another $18 on Amazon. You also won’t see much of a spike in your electric bill from this light, so it’s a fairly cost-effective option on that front. 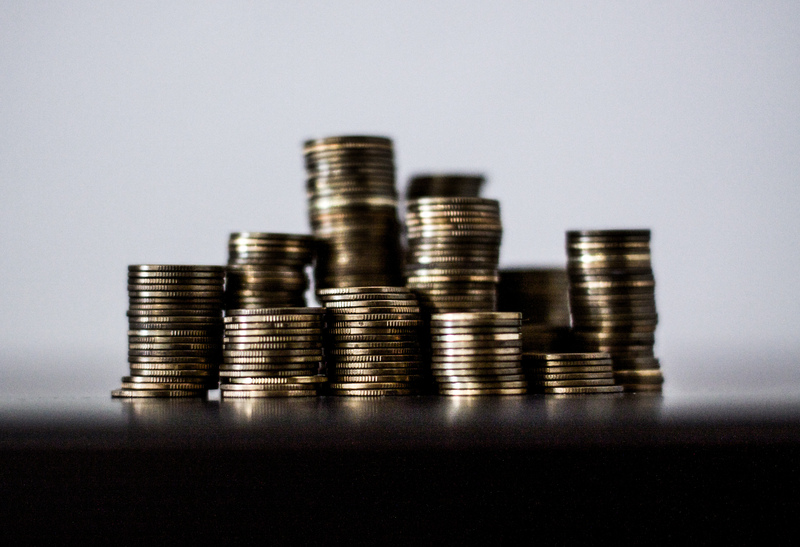 If you want to invest in a great light but still are a little cost-conscious, this light might be for you. 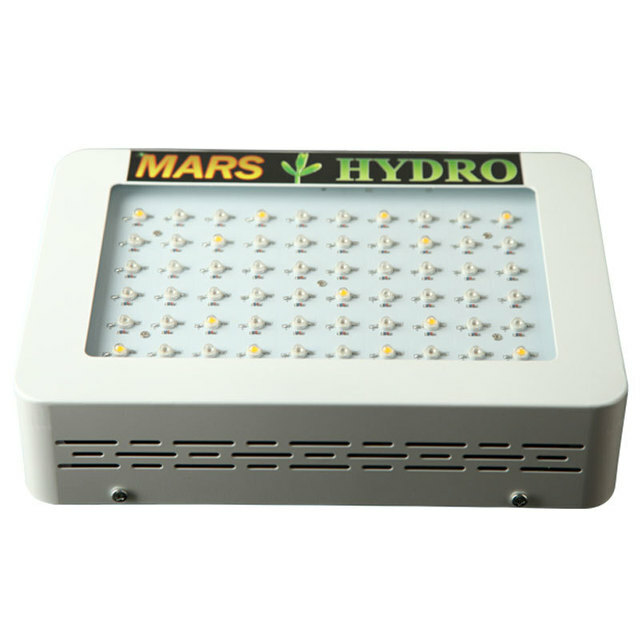 MarsHydro is a reputable brand with LED lights that can cost a few hundred bucks. But, the Mars300 light is a great option when you want something nice without completely breaking the bank. It’s currently listed for about $90 on Amazon. The light also contains a fan to help keep it cool. It’s full spectrum, so you can use it during all stages of your closet grow cycle. Be warned: this light is super bright. You’ll also need some chain or an adjustable rope to hang it with. A light timer will save you a ton of hassle. This is especially true during flowering time when you’ll want your plants to be on a strict 12/12 light cycle. Meaning, 12 hours of light and 12 hours of complete darkness. You can pick up an inexpensive light timer at a local hardware store, or you can find one for about $10 on Amazon. If you’re using heavy lights, make sure your light timer can handle their energy requirements. If your closet has flat, white walls this option can be avoided. Growers often use reflective insulation to concentrate all of the light back onto the plant. If you’re using a smaller grow light, putting up some reflective insulation (or another reflective option like mylar) will give you some significant bang for your buck. A 25-foot roll costs a little over $16 on Amazon. Panda plastic is another great option. Hydrofarm sells a 10X10 sheet for just over $17 on Amazon. Panda plastic is great for temporary grow rooms and is easy to clean. If you have dark closet doors, investing in something reflective to bounce light back onto your plant will help immensely. 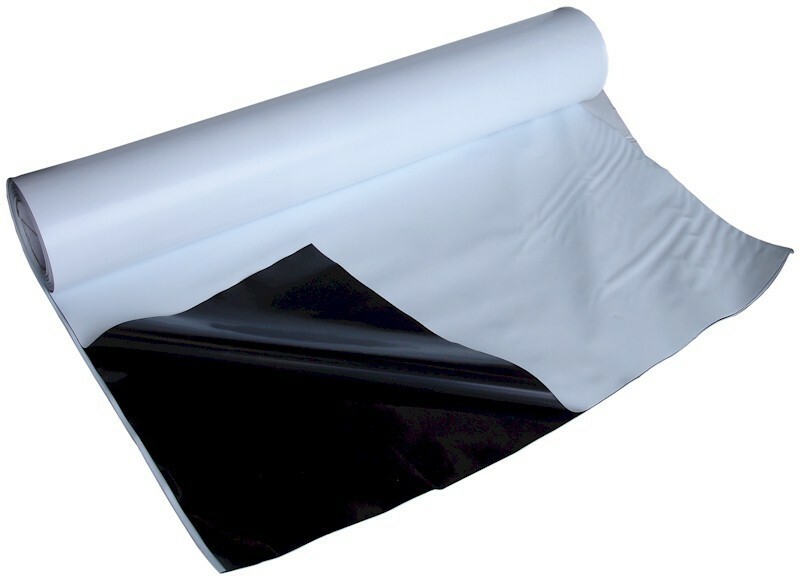 Panda plastic won’t create potentially dangerous hot spots on your walls. But, make sure not to put it too close to the lights! Ventilation is key in a grow room, especially in a confined space. When you’re growing in a closet, maintaining proper airflow can become quite tricky. Ideally, you want your fan to be drawing in cool air from below and exhausting it out from above. This creates kind of a cross breeze that helps strengthen your plants. Depending on what your closet is like and how willing/able you are to modify it, you’ll have to get a little creative for this part. For a super simple solution, you can try propping the door open a bit while the lights are on. Place one fan at the base of the door and hang one fan at the top of the door in the interior of the grow room, blowing hot air out. You can close the door when the lights are out, to ensure total darkness. Computer fans work well, and can find them for about $15 on Amazon. Some people get fancy with ducting, as shown in the above video. Ventilation is much easier if you’re growing in a cabinet, you can cut a hole on the top of one side of the unit and the bottom of another. Mount one computer fan on the interior, pulling air inward. Mount another computer fan on the exterior of the opposite side, pulling air outward. As a disclaimer, growing cannabis is not legal in many states and is still federally illegal. Always know what you’re getting into before you take any risks. However, in states and regions that do allow home growing, this simple setup will start you on the right foot. For less than $100, you can be will on your way to your own high-quality, home-grown cannabis. Do you have any closet grow tips or advice? Share them with us on social media or in the comments below. We’d love to hear from you!